Flooring the foremost thing people see and step on when entering a home. Machined from pieces of timber, wood flooring is available today in a wide range of widths and thickness. It has a life of almost 40 years with the option of polishing every 10 years, which makes it an investment of a lifetime. So, when it comes to wooden flooring, take your time to sift through all the available options. It is available in a host of patterns and designs, the most popular among them being herringbone and basket weave. Wood finishes will merge beautifully with any outdoor décor too. 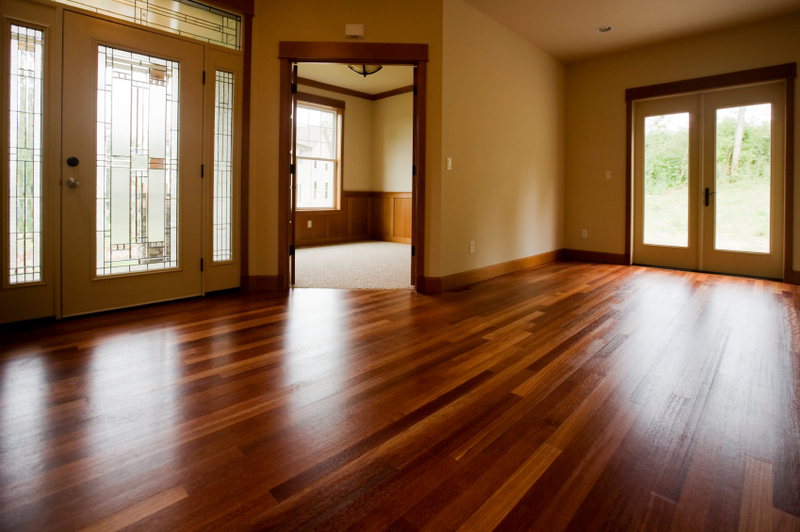 Laminates are essentially artificial wooden flooring and sell largely because of their price point. With the appearance of real wood flooring with a host of textured surfaces, designs and beveled edges, it truly makes for a very exciting product to choose from. The installation procedure is simpler and hassle free in comparison to any other flooring type, which is also why it is so popular. Moreover, they are designed to withstand scratches. Support furniture and heavy appliances with wide bearing, on-standing glides or casters. Move appliances/furniture by sliding them slowly over the floor on a clean piece of carpet turned upside down. Place area rugs in high traffic concentrated area to make long term maintenance easier and less expensive. 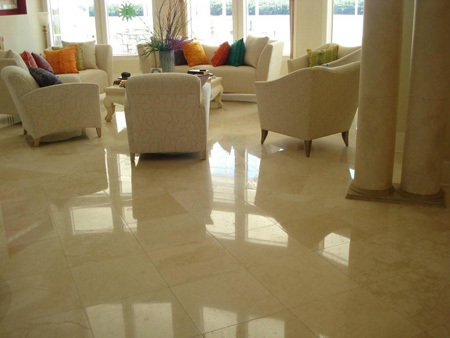 Natural stone floors have been around for years now. Add to that, the textures and the overall look and feel, and you have exciting options for your floors. Choose from materials like marble, granite, onyx, limestone and slate. It is comparatively expensive, but the finish is truly unbeatable. The designs look stunning but due to its porous nature, you may need to consider treating it before use. What’s interesting about stone flooring is that it involves minimal upkeep, is naturally durable, classy, is stain and moisture resistant and comes in a wide range of textures and colors. Plus, it is considered eco-friendly, especially if the materials are available locally. Stone scope: Limestone and tumbled slate are excellent for your bathrooms where slip-resistance is necessary. 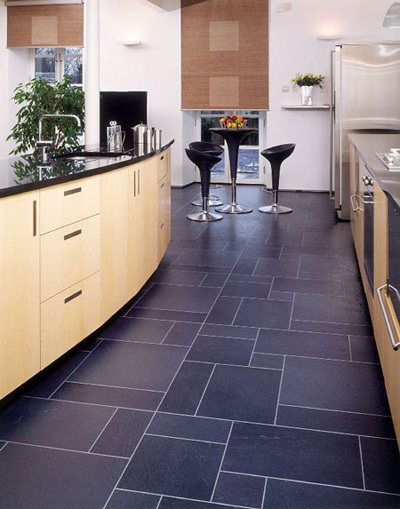 Limestone and slate are ideal for your kitchen, hallways, and entrance areas; if sealed correctly, they are incredibly hardwearing. We’re going with a huge heads up for stone in your flooring. Luxe look: Marble is the most commonly used flooring in interiors today for its luxurious look and finish. It is supremely classy and feels nice and cool in warmer climates. It can be used in the bedroom, bathroom and kitchen. With the growing prominence of luxury in home interiors, floor tiles have evolved dramatically and can today help create spaces comparable with any designer space. Go for exclusive designer tiles in unique colors, designs and patterns. When applied to walls or floor, these tiles have the capacity to add renewed life to your spaces. Depending on how you use these types of flooring in your house, the look can either be contemporary or traditional. There is an extensive range of patterns and textures such as ceramic wall and floor tiles, polished vitrified, glazed vitrified, vitrified paving tiles and digital glazed vitrified tiles. Polished vitrified tiles work much better than ordinary matt-finished tiles. Besides being stain resistant, they are highly durable and come with anti-skid features. Digital glazed vitrified tiles are stain-resistant and have low-water absorption properties and hence, extremely hygienic. They are available in different finishes, like wooden, glossy, satin, rustic etc. Tiles are extremely hardwearing, although the porous products will need regular sealing to avoid staining. They don’t trap dirt so cleaning them is easy – a regular mop with warm, soapy water is all they require. White magic: Easy to clean and maintain, white tiles are mostly used in living rooms and bedrooms, as they also add to the illusion of space.